We offer anti-wrinkle injections at two facilities in the Shellharbour and Illawarra regions: at Minnamurra MediSpa near Kiama Downs and at South Coast Cosmetic, Skin & Vein Clinic in Wollongong. Our Registered Nurse Kathleen in collaboration with Dr Osmat Mizori provide personalised treatments to reduce wrinkles and improve the aspect of the skin. The injections will make the facial muscles relax, reducing the wrinkles that develop due to muscle contraction. They are most successful when used to prevent the formation of deep lines and creases. Results are usually seen within a few days: the skin will be under less stress and look younger. We use very small doses and patients have not had significant side effects. *Regulations prevent us from stating the brand names of the products used in anti-wrinkle treatments. Please get in touch at [email protected] for full details. No two treatments are the same. Kathleen will follow your progress and customise the treatment to ensure the best outcome. In some cases it may be advised to combine the anti-wrinkle injections with dermal fillers in order to tighten the skin. 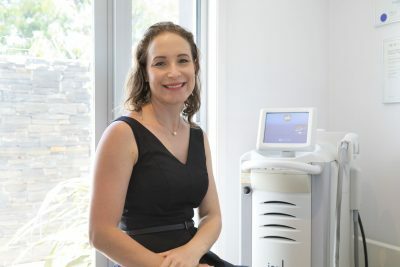 Kathleen works with Dr Mizori of South Coast Cosmetic, Skin & Vein Clinic in Wollongong. This is to ensure the best level of care and to provide you with a legal medical prescription for anti-wrinkle injections. To book your treatment in Minnamurra, please call 4263 9922. To book your treatment in Wollongong please call South Coast Skin & Vein Clinic 4227 2000 and request an appointment with Kathleen Hoskins in Dr Mizori’s rooms.